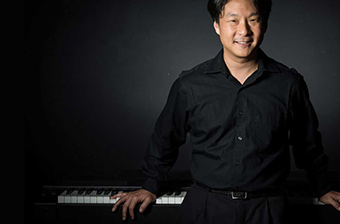 Hugh Sung has taken his years of experience expertise and loaded them into these online piano lessons. Students in the popular piano course have unlimited access to the video lessons including lessons covering contemporary piano pieces and sheet music. What ultimately sets these pop piano lessons apart from other offerings is the ability to submit a video for review using the ArtistWorks Video Exchange Learning® platform. Hugh reviews each submission and records a video response, offering specific guidance to take your piano playing to the next level. All students can access the Video Exchange library and watch each other’s interactions with Hugh. This library is constantly expanding and may contain the key to unlock your playing. Pianist Hugh Sung has been an active soloist and chamber musician ever since his debut with The Philadelphia Orchestra at the age of 11. He has performed at Carnegie Hall, Weill Hall, Wigmore Hall, and many others. He served as Director of Student Recitals and Instrumental Accompaniment at The Curtis Institute of Music in Philadelphia for 19 years before focusing on teaching online. He is known for combining technology with standard piano instruments. Hugh’s enthusiasm for piano is contagious and his lessons emphasize learning to play popular songs using a step by step method that any level of player can follow. He has been teaching online with ArtistWorks since 2014.